Bilingual (English/French) with valid driver’s license & clean driving record. Accompaniment, Guide, Personal Assistant, Production Assistant, Fixer and more for visiting Producers, Directors, Talent and their Crews. Also, 3rd or 4th AD for background extras, supplementary assistant for production office or field casting of talent or extras: Film, TV, Photo, Conferences, Events, Exhibitions, Parties, Shows, etc.. Bondable and insurable (no criminal record and excellent credit). Complete confidentiality and discretion assured for all projects. Assistant pour mandats sur l’île de Montréal et Brossard. - En vidéo: 2ieme assistant au réalisateur ou opérateur camera additionnel. - Assistant pour événements spéciaux: spectacles, conférences, etc. I'm always looking for interesting work, I enjoy learning and assisting people with their projects. My fee starts at $30 CAD/USD per hour (3 hours minimum), plus meals and parking fees. Day rate (8 hours) $240. Rate after 8 hours, $35/per hour. Rate after the 12th hour and/or for work done overnight (11pm-5am) $40/per hour. Rates for work done outside of Montreal island vary and must be negotiated in advance. 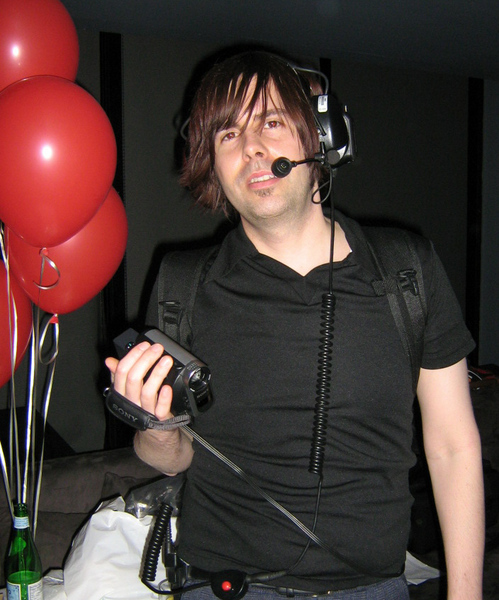 1999 ABA hair show, Model, Redken NY Concept JP Inc.
2009 Ezio’s Story (Assassin's Creed 2)Merchant - 15th century Italy, Ubisoft/ Yves Simoneau. 2008 Polytechnique, Student, Director Denis Villeneuve. 2005 Qui Rénove! Édition Nature, Played myself (reality TV), Artaud Communications. 2004 Greatest Game Ever Played, Gallery & Gardener (29 days) Touchstone/Disney. U.A.A.P. “King’s Ransom” Crowd, Joshmax Inc. Le Survenant, Merchant, Les Films Vision 4 Inc.
2000 Watatatow season 10, Student, Vivaclic- Production JBM. 1999 The Trial Of Nuremberg, Prisoner of war, Les Productions La Fete/ Alliance. Audrey Hepburn, Waiter & Guest, Audrey Hepburn Productions Inc.
Chartrand et Simonne, Recruit & Soldier, Videofilms Inc.
Ces Enfants d'Ailleurs 2, Spectator, Ces Enfants d'Ailleurs 2 Inc.
Omertà 3, Crowd, Productions S D A Ltee. 1997 L'Ombre De L’Epervier, Pre-turn of the century factory worker, Verseau International Inc.
Snake Eyes, Spectator, Paramount Pictures/Brian De Palma. General volunteer: set-up, take down of park and ribbon start (rental mini-van driver in 06)2005-06-07-08-09. Salon national de l’environnement (SNE), http://www.salonenvironnement.org/en/2007. Volunteer: decorations set-up or welcoming guests and handout party safe materials at rave.2003, 05, 06, 07. 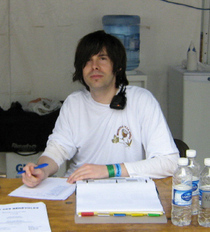 Assistant to the volunteer coordinator: welcome volunteers, keep track of schedules, hand out gratuities.2007. The United Nations Conference on Climate Change (COP11)2005. Assistant, PA, Guide, Fixer, Camera op. & Promo rep.
- Project assistant, director's assistant, replacement boom operator for web video and web product devellopement www.playyoubethejudge.com 2007-12. - Camera operator for Roll-On Concordia University TV show 2009. - Guide & PA, location shoot Fushigi Hakken Japanese TV crew for show about Cirque du Soleil 2008. - Fixer and PA location shoot Rachael's Vacation – Food Network/High Noon Entertainment 2008. - PA on Les Faux Airsstudent dir. Phillipe MontpetitUniversity of Montreal2004. - PA on La Derniere Heurestudent dir. Phillipe MontpetitUniversity of Montreal2003. - Second camera operator for Envers by Jean Yves Lacasse, fashion show 2002. - Second camera operator for A Psycho Beach Party play, student dir. Donald Rees 2001. -CINE 101, STCVQ (now known as AQTIS www.aqtis.qc.ca ) Is the Quebec union for film, TV and show technicians. Programme de Perfectionnement Professionnel 2004. 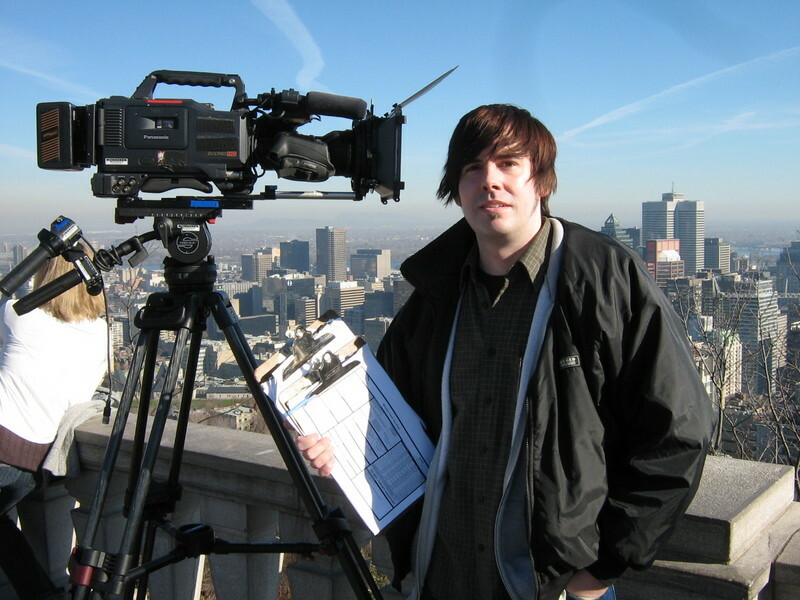 -Collegial studies in Creative Arts: Cinema/Communications option (incomplete) Dawson College. (Teachers included: Jesse Hunter, Phil Vitone and Dr. Lyle Cruickshank from the National Film Board of Canada. -Attestation to Collegial studies (A.E.C.) Call Centre Agent, Dawson College 1997. -Initiation a l'enregistrement sonore, Comite Social Centre-Sud 1999. -Techniques video, SAC University of Montreal, 1996. We transformed an old eye wear store into a temporary art gallery. Extra work on Disney's The Greatest Game Ever Played. Some really neat old items on Disney's The Greatest Game Ever Played. Antique car with it's funny owner from Ontario. Our costume's where from England, the vintage vehicles came in from all over North America. Bill Paxton is a nice director, he let us take pictures on his set. Climate Change Conference (COP11) in Montreal, I'm here with my supervisor Jean-Francois. Was part of the volunteer team setting-up a park for a fundraising walk. Booming on fall evening, student video shoot. Assistant, Fixer and driver for popular American TV series on travel. Did a few day's of shooting in springtime. Shooting a fashion show: Circus - P[h]assion 2009 at Time Super Club. Really neat wireless brodcast systems, with camcorders permitted us to get up close and stream right to the internet. Tape a game-show @ CCTV, for a graduating Concordia Film student.